The Book: While I finished the first three books within a week and eagerly looked forward to this one, this book turned out to be really tedious. While the concept of the Tri-Wizard competition was really good, the book just staggered on and on At 800 odd pages, I struggled to get past this one. 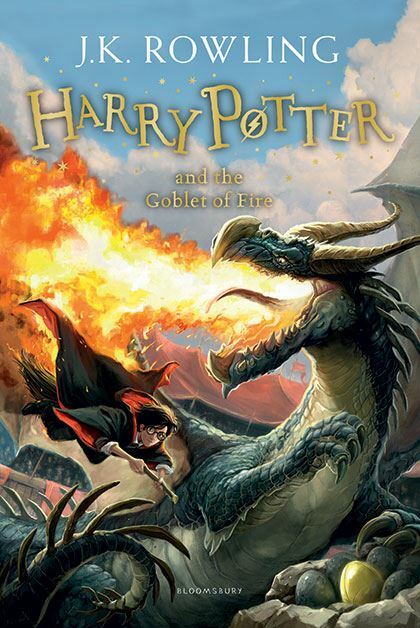 While the tasks of the competition and the introduction of two other wizarding schools was brilliant, something about this story did not hold my attention throughout. Mad-Eye Moody was an interesting character and the return of the dark Lord was shown really well, but the book needed some serious editing. The length and pace of the story troubled me a lot. I thought of abandoning this book many times and moving on to some other books, but I just pushed myself and held on to this tale. I also wasn't very happy about the fact that Cedric Diggory was present only for some brief moments. If he was such a star of the Hufflepuff house, why wasn't he spoken about much in the first three books? Since he was the chosen champion from Hogwarts, shouldn't his presence have been felt earlier? This for me was a major flaw in the book. What also angered me was that Harry couldn't get past any task all by himself. He needed help at every step. Come on, wasn't he the chosen one? The Movie: Strangely, this was my favorite movie of the first four. Although what happens at the Quidditch world cup was not shown well, the tasks of the competition and the interaction between the students of the different schools was brilliantly shown. In particular, I loved the entry and the exit of the Beauxbatons to and from Hogwarts. Their light blue carriage pulled by a dozen winged horses was so beautifully shown. This was truly magical! The climax showing the return of the dark Lord was way better than what I had imagined when I read the book. Those final 10-15 minutes of the movie was brilliant! I love Ralph Fiennes as an actor, and watching him as Lord Voldemort was truly a treat. The Book: Thanks to my experience with the previous book, I did not pick this one for a long time. The time gap between the fourth and fifth book was more than six months. I was so disappointed that I did not want to read anything about Harry Potter again. The fact that this book had 900 pages was even more troubling. But then again, my friends pushed me and I also wanted to get this done with. During my first attempt, I read around 80 pages and nothing was moving forward, so I abandoned the book. At the second attempt, I touched 100 pages and since the story just dragged on, I abandoned it again. It took a lot of patience and more pushing from my friends to pick it up again. Once I got past the first 200 pages, I was hooked! It was love at first mention for me when it came to Nymphadora Tonks. Her character was so adorable. It also was hate at first mention when it came to Dolores Umbridge. I loved everything about this story as a lot was finally happening. Sirius was back in picture and I loved reading about the meetings of the Order. It was also nice to know the back story of Sirius Black. The formation of 'Dumbledore's Army' was fascinating and the concept behind the room of requirement was fabulous. Professor Snape and Harry's Occlumency lessons were very interesting too and Snape's worst memory had me weeping for him. The climax scene involving the prophecy and the way DA takes on the death eaters was quite something. I loved this book more than the fourth one, for one sole reason. Luna Lovegood. Where was she all this while? She's so unique and lively and unpredictable and awesome! The last fight between Dumbledore and Lord Voldemort was beautifully described. Sirius death affected me more than it should as I thought that there was something more to his character. He did not deserve to die this way, least of all in the hands of Bellatrix Lestrange. The Movie: Loved every bit of it! Right from the introduction of 12, Grimmauld Place to the atrocities of Dolores Umbridge, everything was spot on. The woman playing Dolores Umbridge was born to play this part. Her toad like face and pink costumes were an eyesore as it should have been. I've always loved the characters of Fred and George Weasley, and the twins playing them were spot on. Their antics were shown so well. I loved watching the classes of Dumbledore's Army and Luna Lovegood was so gorgeous. The movie had deviated quite a lot from the book when it came to the revelation of the DA, but still it somehow came together. I missed the Quidditch matches though. The climax was beyond brilliant in the movie and loved the one on one fight between Dumbledore and the dark Lord. Sirius death was not shown well at all, I wanted it to be a little more dramatic just as I wanted the Occlumency classes to be. The classes were shown in boring light. But the climax more than made up for it. This movie did come close to doing justice to the book and this is my favorite movie of the lot. The Book: After loving the fifth book and the movie, I picked this one almost immediately being much more determined to finish the series now. I was back to loving the series and I couldn't wait to find out what happened next. I loved the interaction between the Dursley's and Dumbledore but I wasn't very convinced with the sudden introduction of the new character, Horace Slughorn. I found him to be really annoying and silly. I initially thought that the half blood prince was Lord Voldemort himself and he was using the potions book to get access to Harry's mind. I couldn't have been more wrong. The introduction of the concept of Horcruxes was so very brilliant. But the best part of this book was the memories being viewed at the pensieve in Dumbledore's office. I loved reading every bit of Lord Voldemort's life. Strangely, I found myself relating to him. I loved the back stories, the Gaunt house, Tom Riddle's entry to Hogwarts and his discovery of the horcruxes. Draco being marked for Dumbledore's death was expected, but I didn't know that he had a shroud of decency in him to not get through with the task. Snape was the surprise element in the book and for this very reason, this happens to be my favorite book of the series. The love stories bothered me though. Ron and Lavender were so very annoying and Hermione's annoyance was justified. The Quidditch scenes involving Ron was good though, and the potion class talking about the three famous potions was excellent. I was shocked when I found out who the half blood prince was but then when I looked back, it all made perfect sense. Dumbledore's pensieve and his travels with Harry was such a delight to read. I could actually picturize it scene by scene in my head. It was way too beautiful. Honestly, I did not expect Dumbledore to die at all. I always thought that he would be the one to save Harry. But in the end when Snape walked away from Hogwarts with Draco and the other death eaters, something told me that this was not right. There was more to Snape and I just knew it in my heart. Somehow, without my realization, I had walked into the Slytherin house then. The Movie: The movie did not do even an ounce of justice to the book. Apart from the scene in which Dumbledore and Harry find the fake horcrux, there was nothing good about this movie. The first scene in which Dumbledore finds Harry by the train station was so shoddy as was the character of Slughorn. 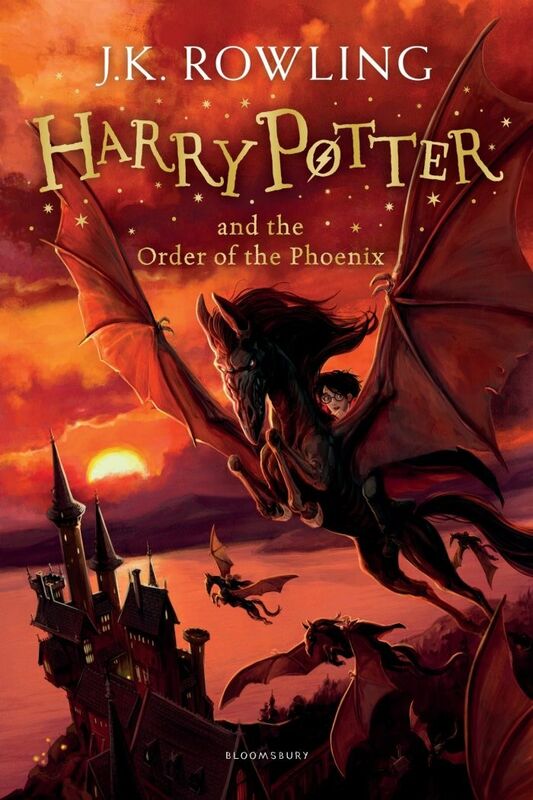 Tom Riddle was supposed to be the hero of this book, but the movie did no justice to it. So many memories were missed and incomplete back stories made no sense at all. More screen time should have been given to Draco and his predicament and how he was burdened by it. The love triangle involving Ron, Hermione and Lavender was shown really poorly. So was the mention of the horcruxes. I did not like the way Snape was shown too. There was so much of him in the book especially towards the end, but the Snape in the book was cold and weird. When he revealed who the half blood prince was, he was so distant and unattached. Almost zombie like. I did not like it one bit. If I hadn't read the book, the movie would not have made any sense to me at all. This was one hell of a disappointing movie. Read about the last book, the last two movies, my favorite characters and some more things that I have to say in the last part of this post. Totally understand! Sirius didn't deserve to die at the hands of Bellatrix.